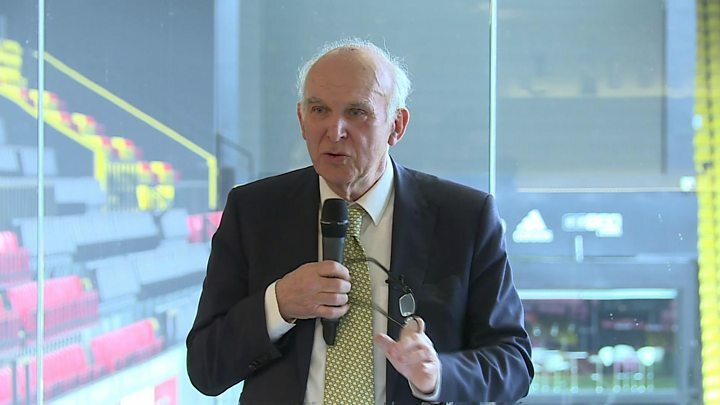 Liberal Democrat leader Sir Vince Cable claimed his party was a “well-kept secret” defying opinion polls as he launched its local election campaign. He said the party was winning local council by-elections in all areas, which had gone unreported. Sir Vince claimed the Lib Dems were “on the way back” through local government and were the “only party” campaigning for another EU referendum. Voters go to the polls across England on 3 May for local elections. Seats on about 150 councils are up for grabs, on a mixture of metropolitan, unitary, borough and district authorities. Local elections: Are they about bins or Brexit? The Liberal Democrats had a mixed night in last year’s general election – which left them with 12 MPs – and polls do not suggest a surge in support for their anti-Brexit stance, which includes a pledge for a referendum on the final deal reached with the EU. He said the Lib Dems had been gaining seats in local council by-elections, which are held on Thursdays, from Labour and the Conservatives and were “much the strongest of the three parties when it comes to these contests” but he insisted this had largely gone unreported by the media. “We are very much on the way back – and we are on the way back through local government,” he told an audience of party activists at Watford Football Club’s Vicarage Road stadium. The Lib Dems have been on about 8% in national opinion polls since the general election. The party has made a net gain of 15 council seats over the same period, according to BBC research, compared with seven gains for Labour and a loss of 18 seats for the Conservatives. UKIP have lost eight seats, the Green Party have gained three and the SNP one, although there are no local elections in Scotland on 3 May. Most of the Lib Dem by-election victories have come at the expense of the Conservatives in the south of England, but they have also taken seats from Labour and UKIP in other parts of England. The reason for the Lib Dems’ by-election success, suggested Sir Vince, was that they “believe in local government,” as he promised extra investment in school budgets and a new homes drive, including curbs on the right to buy. He said the local elections were an opportunity to send a message to the government over “unnecessary” spending cuts. “It is also going to be an opportunity to pass verdict on the way in which the government is handling Brexit negotiations,” he added. The Lib Dems were “the only party which is warning about the dangers which this current Brexit trajectory poses,” he said. The party is using the local elections to call for an “exit from Brexit”. Sir Vince highlighted their campaign – with social media videos in 17 European languages – to get EU citizens living in the UK, who are entitled to vote on 3 May, to back the party.